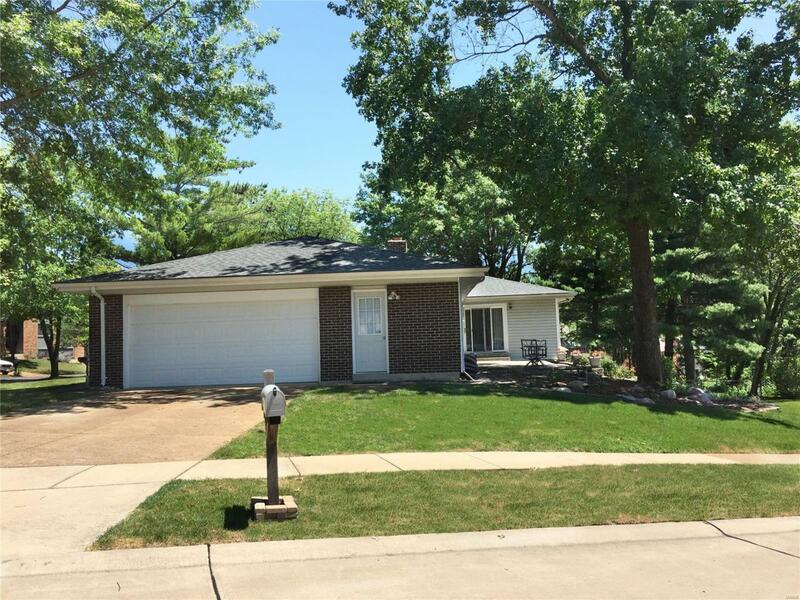 Larger 3 bedrm, 2 1/2 bath, 2 c. garage ranch! 2'x6' wall construction so home is more insulated-lower utility bills! 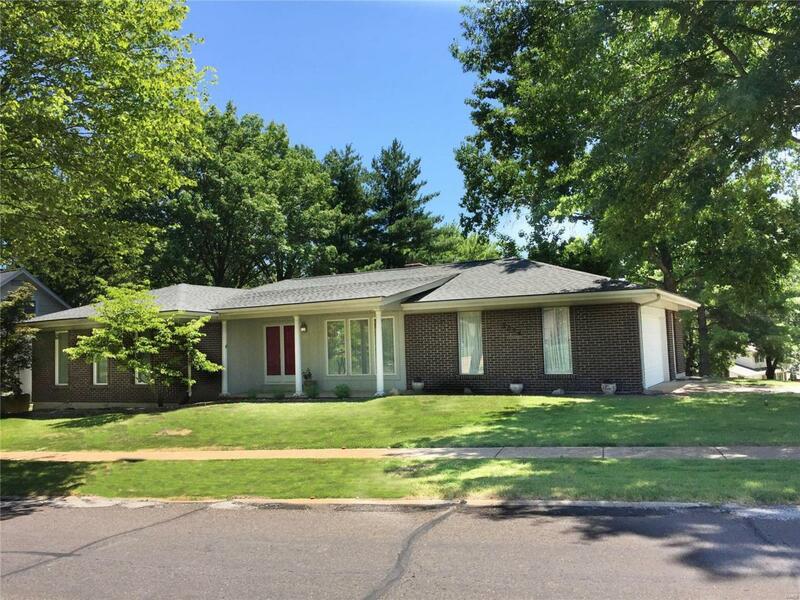 Full brick exterior-front & both sides!! Original owner! Fresh neutral paint! New carpet- July 2018! Newer light fixtures! White 6-panel doors throughout w/levered handles! Large sunken living rm! 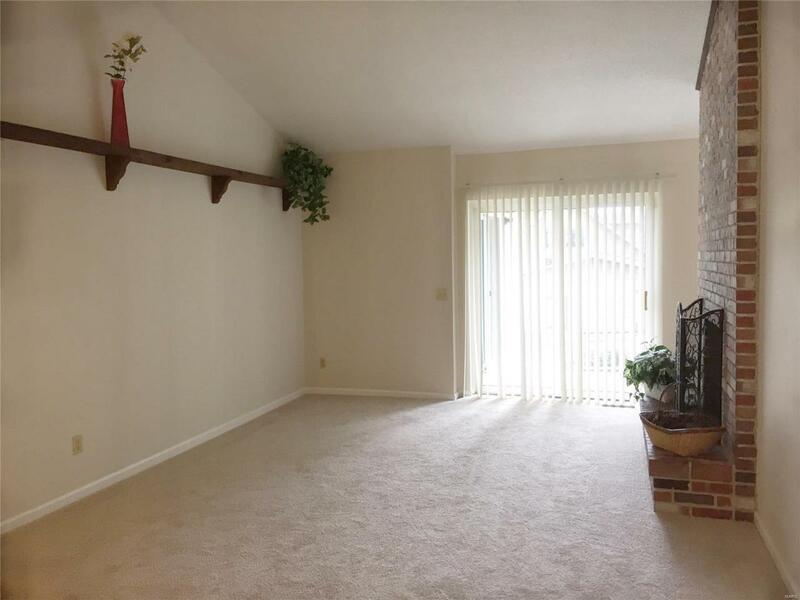 Vaulted family rm w/floor to ceiling brick fireplace! Breakfast area has exposed brick, vaulted ceiling & bay window! Kitchen does need updating! Large master bedrm ste. has full bath w/shower & walk-in closet! Both master bedrm & family rm have sliding glass doors that open to large patio! MAIN FLOOR LAUNDRY w/door to patio! Updated bathrms! 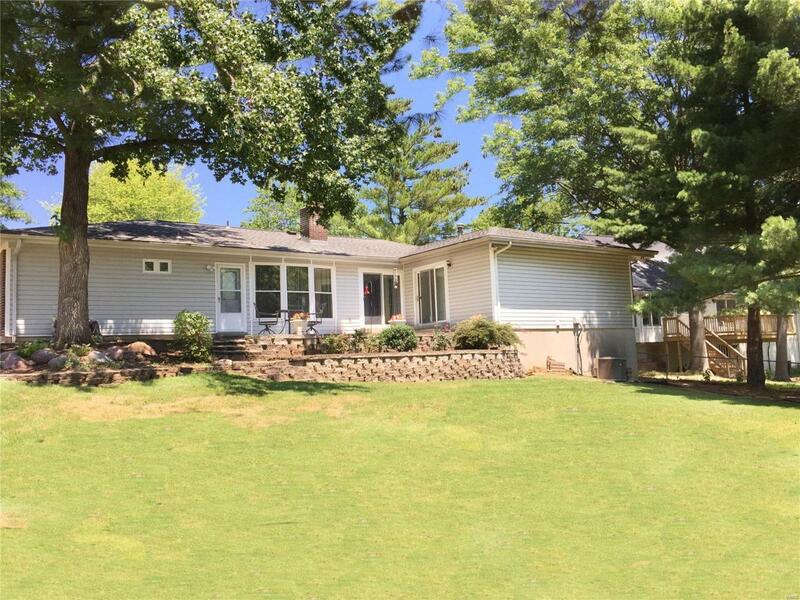 LL has partially finished rm (20'x15') w/walk-in closet! New vinyl clad thermal windows-2006 (in perfect condition)! NEW furnace & a/c- 2015! NEW roof & gutterguards- 2011! Oversized side-entry 2 c. garage- 20'x20'! Newer gar. door opener! Nice level lot! Walk to subd. pool-just across street! Close to Suson Park! Passed St.L.Co. inspect. Listing provided courtesy of Denise Rogers. Listing information © 2019 Mid America Regional Information Systems, Inc.